KIT F - 39664 Y: remote fill adapter for rear mount UP28, UP33, UP39, UP45 pumps. 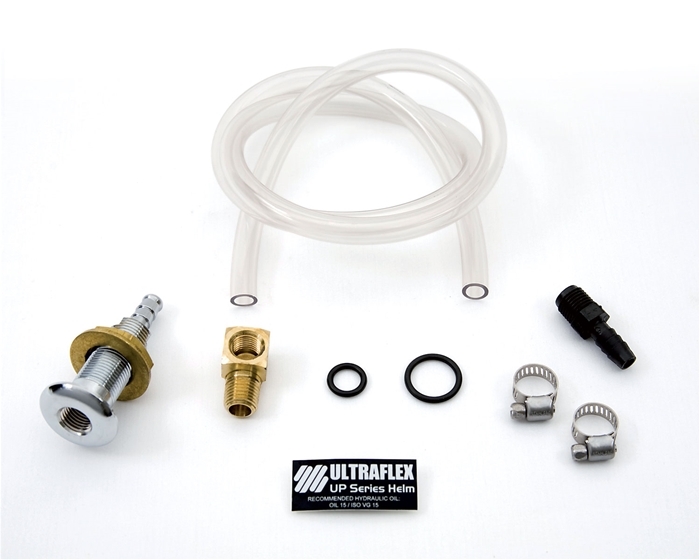 This Kit includes all parts and fittings required for remote fill of cylinders hydraulic cylinders and helms. It makes no mess. KIT F56 - 40813 W: remote fill adapter for rear mount UP56 and UP68 pumps.